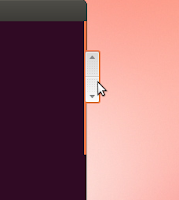 For me, it is worth having the Ubuntu Overlay Scrollbars enabled on my Precise system due to all the hard work that was done on this project. Overlay Scrollbars have quite evolved since Natty, and in Precise, I am quite satisfied with the performance of these scrollbars, which now feature an extended proximity area, and thus, are far more easily accessible than how it used to be in Natty. 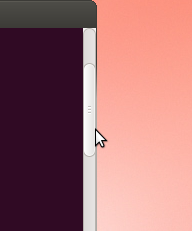 Still, if you don't like these new scrollbars, you can try reverting to the traditional old-style ones. 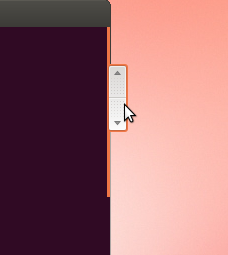 But remember, in Precise, the scrollbar arrows which you would expect to show up at the top and the bottom of the scrollbar won't be available, same as with Oneiric before. You would need to re-login for the change to take effect. Again, you would need to re-login for the change to take effect.